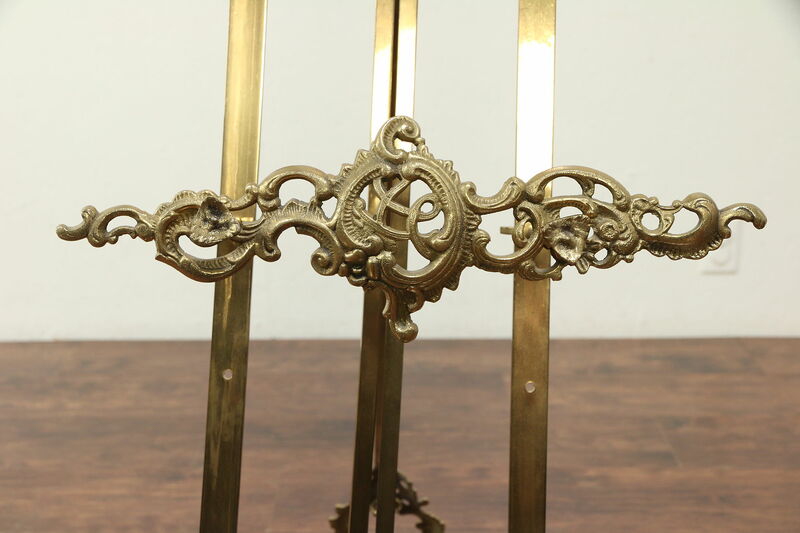 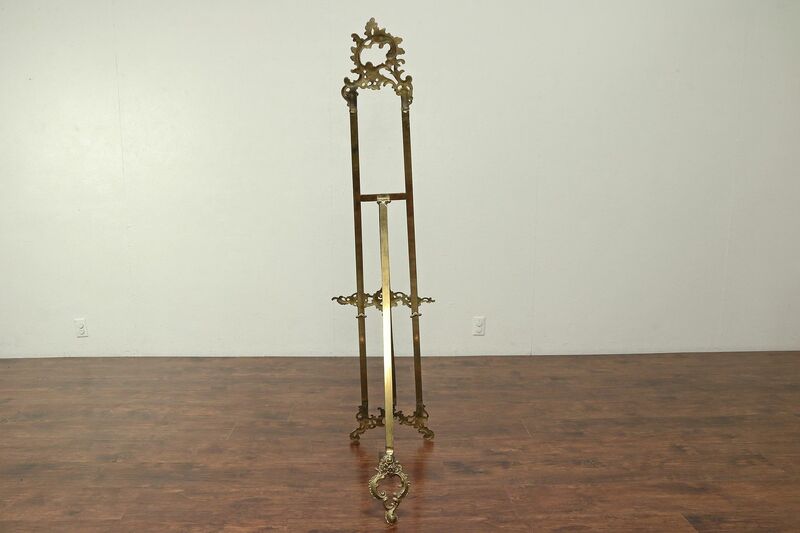 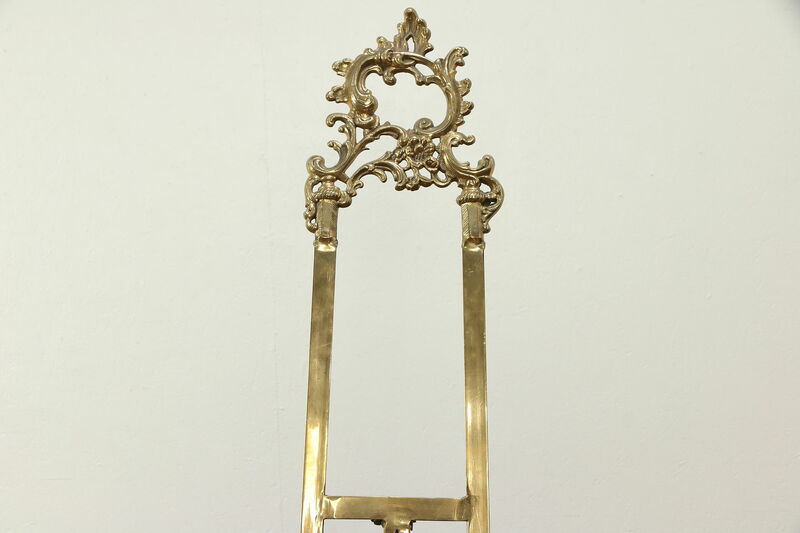 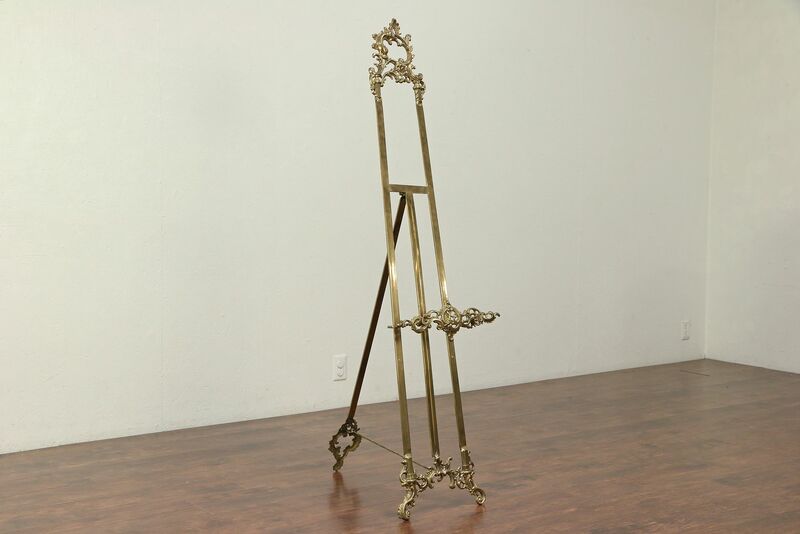 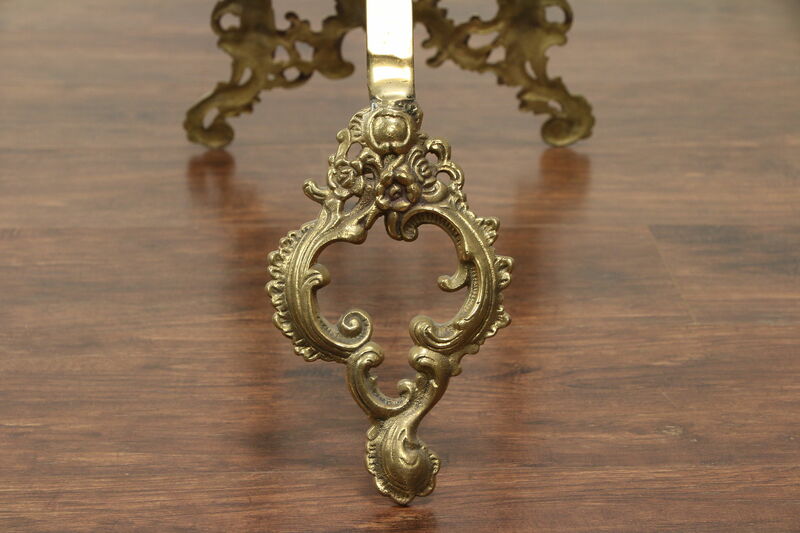 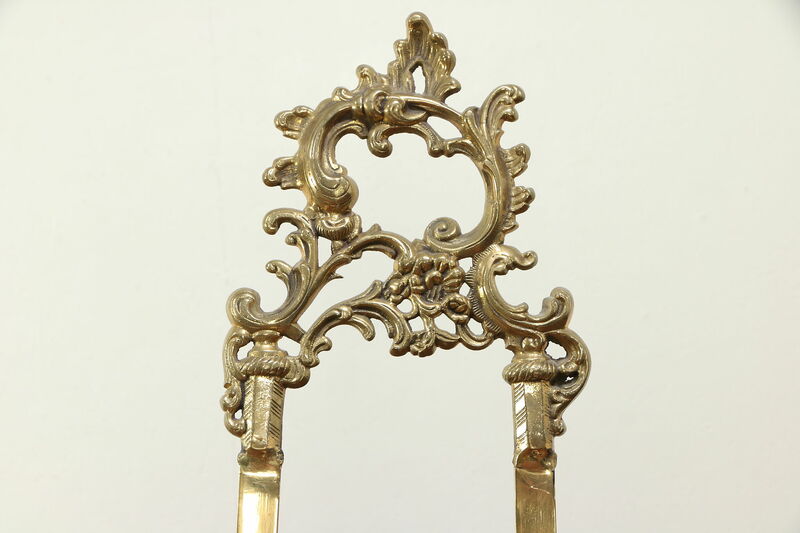 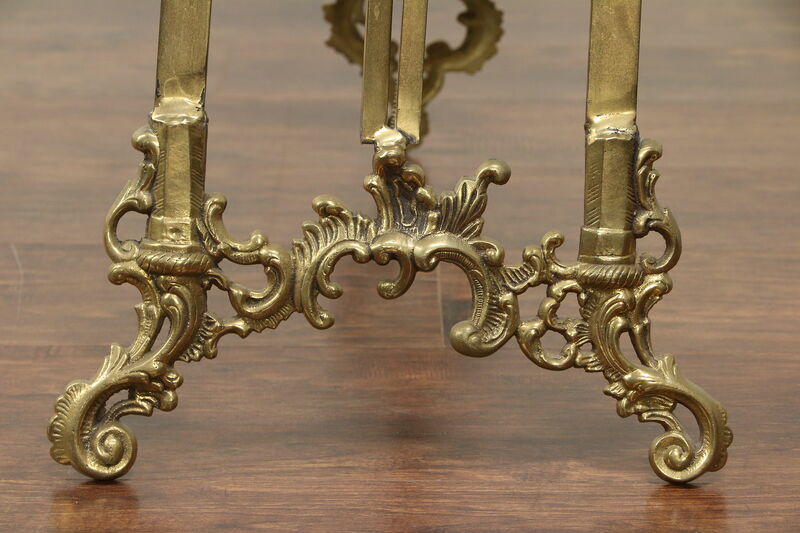 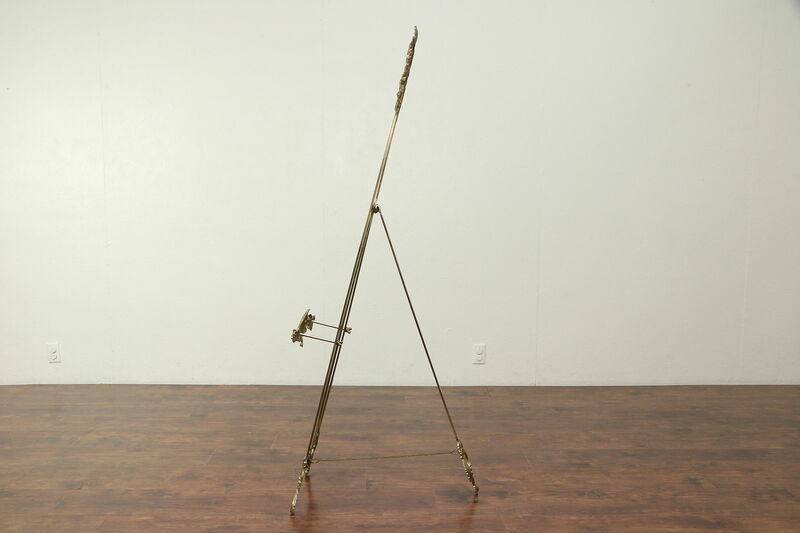 About 50 years old, this solid brass Rococo style artist's easel has an adjustable 2 position picture rest. 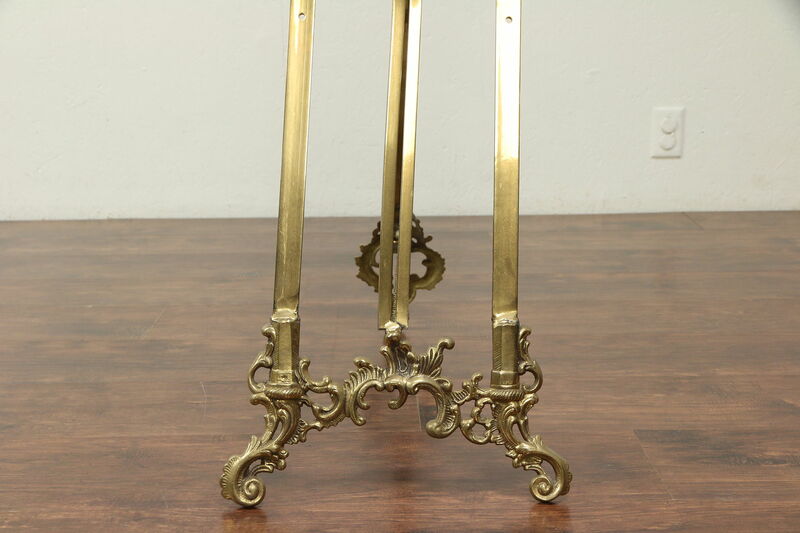 The rear leg is adjustable as well. 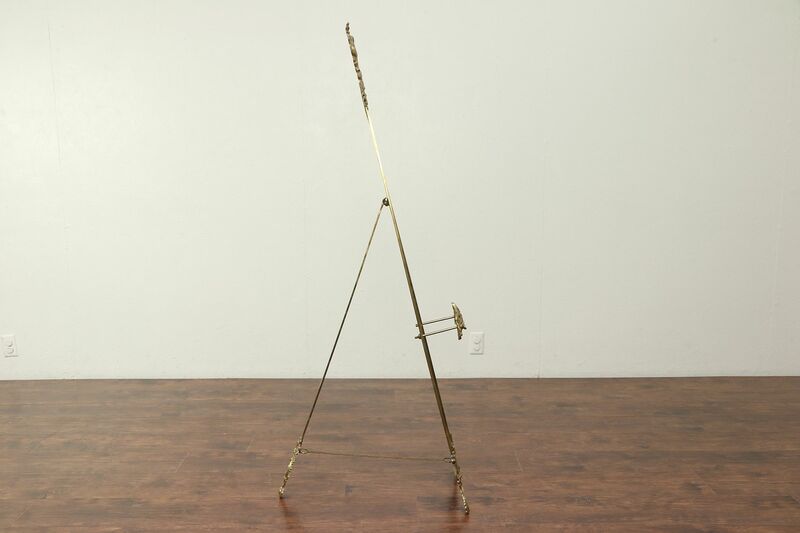 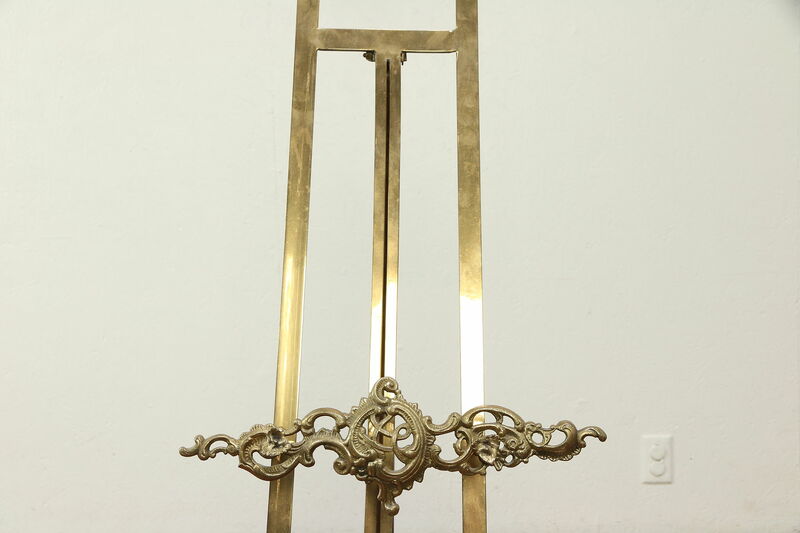 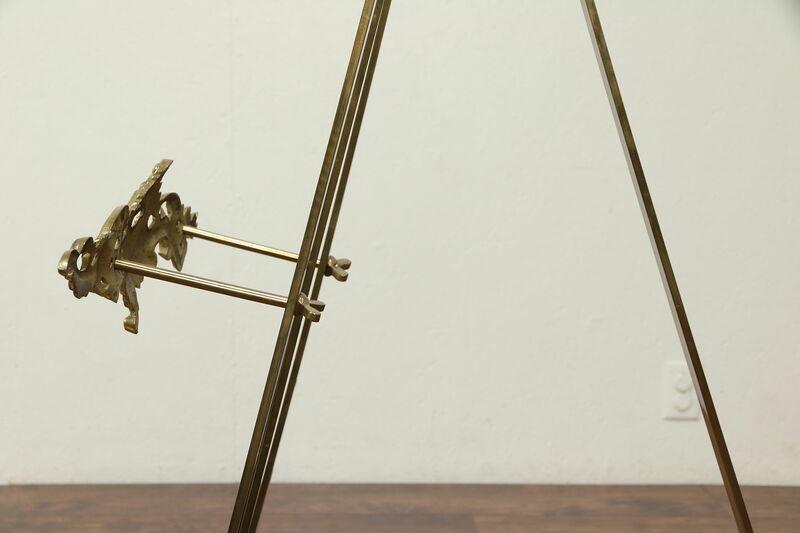 Heavy cast brass parts make this easel very stable. 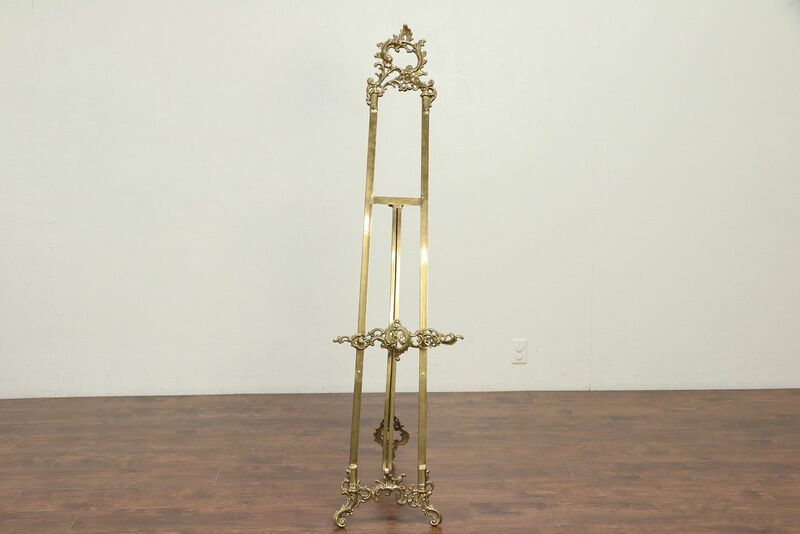 Dimensions are 16" wide, 24" deep adjusted as shown and 65" tall.